Jakarta — Indigenous Papuan Communities Against Corruption in Papua (KAMPAK) condemned the beating of human rights activists and lawyers from Indonesian Legal Aid Foundation (YLBHI) by Jakarta Police Mobile Brigade, yesterday afternoon, Saturday (17/12) at the YLBHI Office. Dorus Wakum, a Papuan activist from KAMPAK, in a media interview on Sunday (18/12), said that the beating incident must be followed up, and unscrupulous Brimob brutality must be prosecuted according to the law. “If you need to fire corrupt Chief of Police and Mobile Brigade members , because they have clearly committed brutal acts against human rights activists,” he added. Dorus explained that after the incident, police and intelligence officers continued to keep the office of the Legal Aid Foundation under surveillance, and also to block access to the KontraS (Commission for the Disappeared) office on Jalan Borobudur KontraS, Menteng , Central Jakarta. “This has caused great anxiety for civilians who live around the KontraS and YLBHI offices. They (officers) keep passing by with full weapons deployed” . Dorus said for three days armed forces have been monitoring all activists, and human rights lawyers activities in these two offices. “The Metro Jaya police chief should withdraw his officials from around the office YLBHI and KontraS right now,” he said. The beatings of human rights activists and lawyers from YLBHI lasted until about 05.00 pm yesterday afternoon. Occurring directly outside the YLBHI office. a lawyer named Sidik admonished some of the Mobile Brigade officers who were at YLBHI offices without a warrant. Not thankful for being reprimanded, Sidik was hit directly behind by some Mobile Brigade officers. At time of writing the beating complaint has not been followed-up the Jakarta Police. 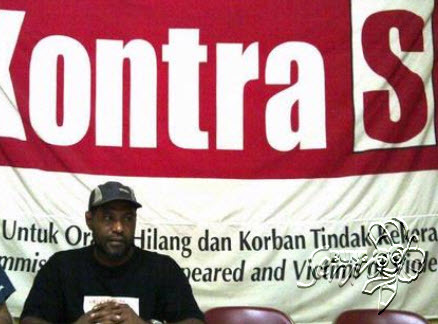 WEST PAPUA MEDIA note: KontraS, a highly respected Indonesian human rights NGO, has been highly critical of Jakarta’s abuses and military approach to dealing with Papua, and it’s lawyers are regularly targeted by security forces for representing victims of abuse. indonesian forces (elite or special forces) are just coward and chiken-hearted. Nothing to be proud of them as they are just paid to opress the papuan’s strugle for independence by Mbrutally terroririzing and killing unarmed and civilians. When facing Malasya, SIngapore or Brunai they will be afraid, very afraid. How come with scraped weapons they can fight these contries with modern weapons? It’s funny as because of their greed and territorial ambition, they like to hold Papua to be part of what they call nkri just to feed the mostly populated javanese. 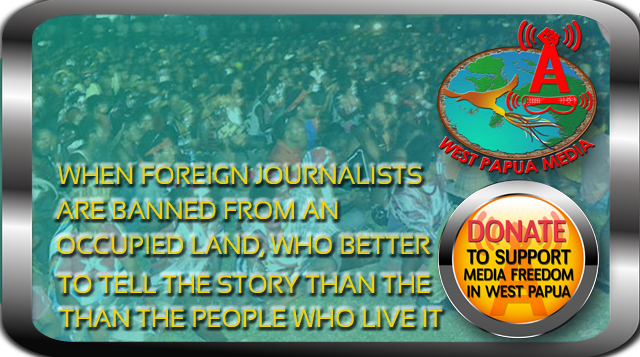 They will surely fail as what they do to the Papuans are evil and against God’s will. It;s a mattet of time for nkro to collapse and they all leave Papua. They are not needed in Papua as they are liars, thieves, robbers, shamelessly evil ones.